Looking for the perfect photo op for your next company holiday party? Or, do you want to decorate your lawn for the season? Our 16' Giant Inflatable Snow Globe is sure to be a crowd pleaser. 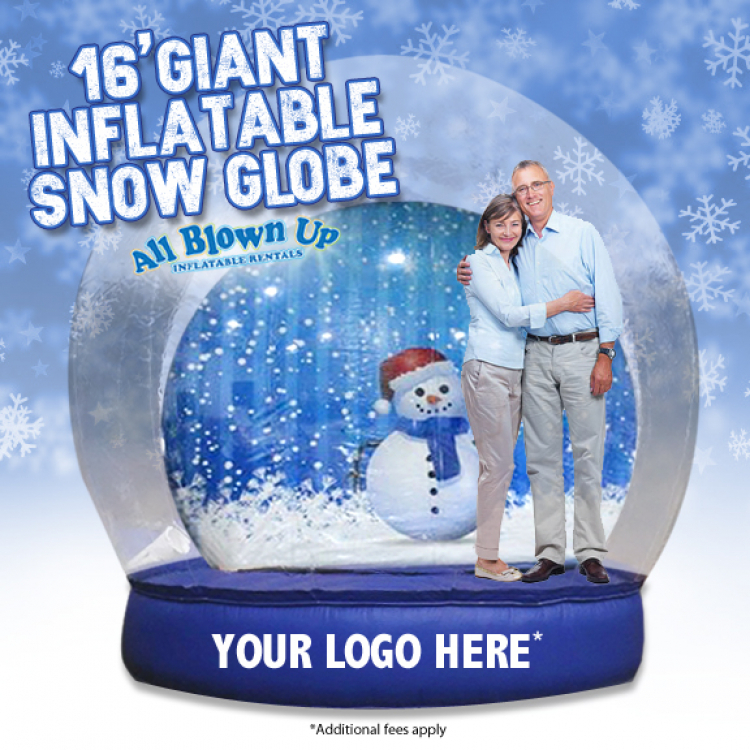 We offer the area's only 16' Giant Inflatable Snow Globe, and it can accommodate up to 4 people with the floor inflated and up to 16 people with the floor deflated. Shoes are not allowed inside. Delivery only.